Narrated Trolley Tour Takes Approximately 1.5 Hours, and Hopper Pass is Good for 1 Day. Take this 90-minute narrated tour for an overview of the city. 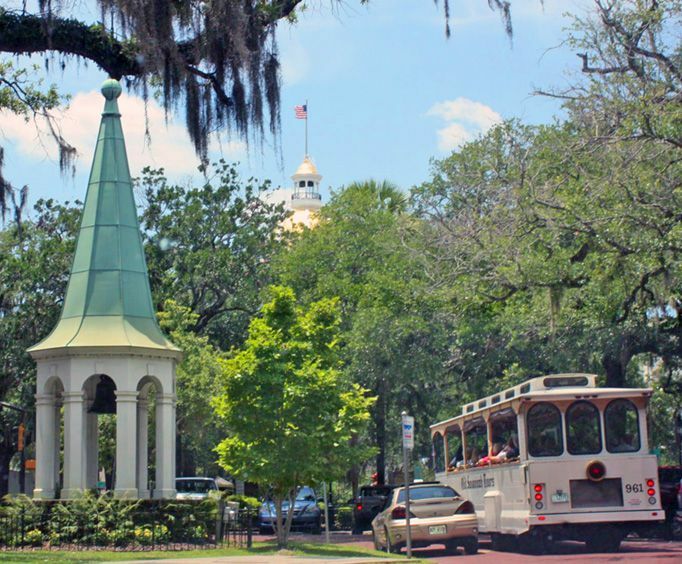 From the Cathedral of St&period; John the Baptist to the Pirates' House restaurant, you will have the opportunity to learn the history of this historic area of Savannah. When you purchase the one day hop-on-hop-off pass, you will have the opportunity to get off the trolley and enjoy each of the 16 stops on this tour. Explore the area to your heart's content, and then simply wait until the next trolley comes by to pick you up and take you to your next destination. Trolleys arrive at each stop in 15-20 minute intervals. The Savannah Visitors Center is the perfect place to start your tour of the downtown area. Housed inside an historic Central of Georgia Railway Passenger Station, this visitors center gives you all the information, brochures, and refreshments you could desire from the eager staff. Stop off at the Historic Savannah Theatre in Chippewa Square, which is the center of the downtown historic area. This theater is the oldest theater in the United States and still produces nightly shows, perfect for a getaway after your sightseeing has ended. Get a view of this theater so you can head back in the evening and watch one of their fantastic, high-energy shows. This Roman Catholic cathedral is the Mother Church of the Roman Catholic Diocese of Savannah. Although the colonial charter initially prohibited Roman Catholics from settling in Savannah, today the Roman Catholic Diocese of the city includes 90 counties in middle and southern Georgia. The church itself has fabulous architecture and artwork for visitors to view during your tour. Initially built for seafarers around 1750, the Pirates' House quickly became a rendezvous point for pirates and sailors. Now, this location is a most intriguing restaurant, offering delicious foods that have been acclaimed for over three decades. This is a perfect place for a quick bite to eat during your tour. Considered to be one of the finest examples of English Regency architecture in America, the Owens-Thomas House was inspired by classical antiquity, designed by a young English architect, and completed in 1819. Now a National Historic Landmark, the location is a historic house museum with a decorative arts collection comprised of Owens family furnishings and American and European objects from 1750-1830. There is also an English-inspired parterre garden and an original carriage house with urban slave quarters. At this historic house own by the Girl Scouts, you can discover the fascinating story of how Juliette Gordon Low founded the Girl Scouts in 1912 and became one of the most significant American women of her time. This location was Savannah's first National Historic Landmark and is the setting for a remarkable family story woven through the history of the city, state, and nation. First started in 1755, the City Market quickly became the place for fishermen and farmers to bring the wares for the public to purchase, and although the original City Market was destroyed, it has since been rebuilt and is still thriving today. Here, you can explore and discover anything from dining, entertainment, shopping, to art and culture. Located along the broad Savannah River, River Street offers a look into colonial America. The buildings that were once cotton warehouses have been converted to antique shops, distinctive boutiques, spectacular galleries, quaint brew pubs, fabulous restaurants, unique nightspots, and elegant inns and hotels. Take a moment to explore these shops and their wares. Hop-on hop-off passes are valid for one day. 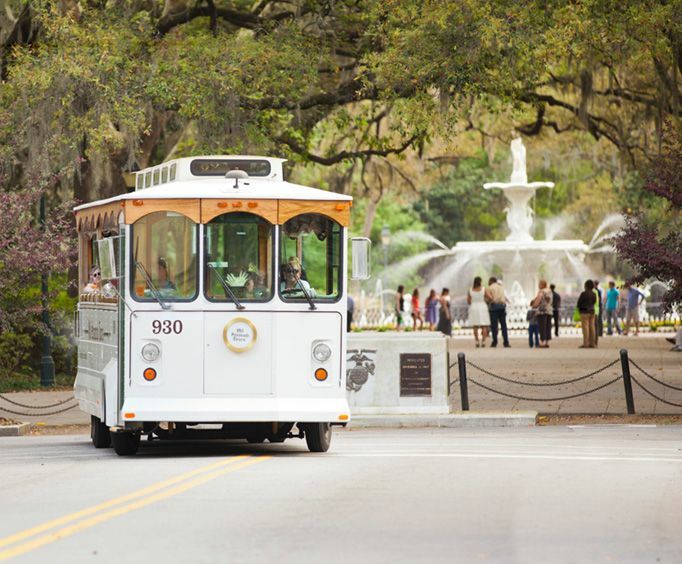 This Savannah Historic Trolley Tour is perfect for those that enjoy sightseeing on their own but would still like to be shown the highlights of Savannah, and it is a fantastic and flexible way to experience the city! 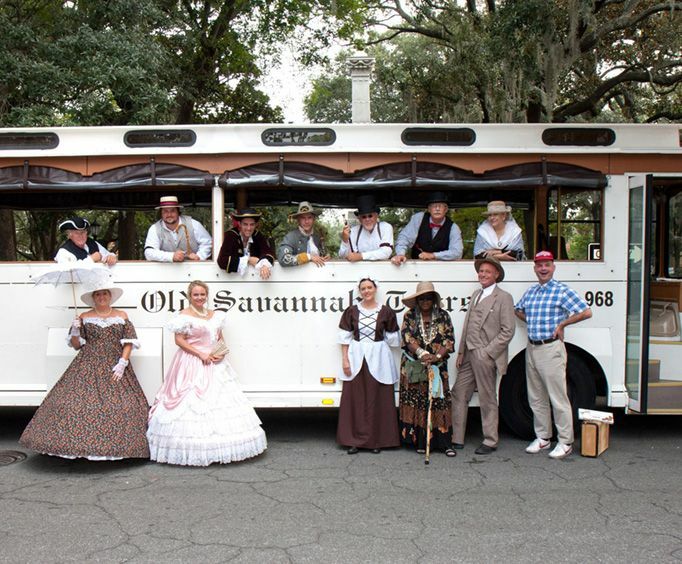 Excellent way to see savannah, their tour guides are very knowledgeable and entertaining. Great way to get an idea of what you want to see in the city. We rode it the first thing the first day. It sure helped a lot. Would highly recommend the old savannah trolley tour, especially with general jersey as the tour guide!